Hope you're doing well, I'm so glad the weather got warmer lately, it inspires me a lot. So this time I came up with a very colorful makeup look, created with my new 180 Eyeshadow Palette. 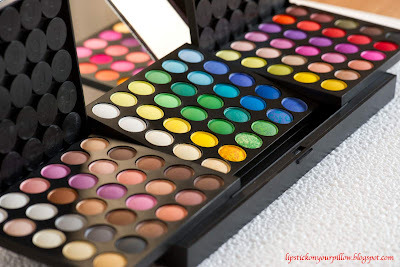 It's a larger version of the 120 Eyeshadow Palette, I guess you all know how pigmented they are, this also has shimmer and matte eyeshadows. Hope you like my look, I did it in a hurry because it was late in the night, that's why I can't remember the colors I used, I was just testing them and this ended up with a photo shooting :)). I really enjoyed playing with the colors, I'll have other colorful looks in my future posts. And thank you for following and visiting my blog, kisses. OMG. so totally gorgeous! you're definitely rocking the rainbows! Really do come true." Breathtaking!!! .L. I am your 65th follower!! You are SO talented!! i cant believe that you have only 65 followers..You deserve A LOT more!! Be assured that i am gonna be a common commentator of yours..!! 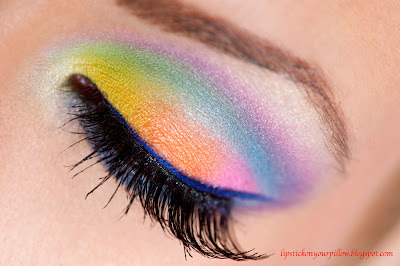 I was looking for rainbow makeup looks to draw inspiration to do a look of my own...and then i came across this look of yours..and i honestly say that yours was one of THE BEST i have EVER seen........!!!! You are gorgeous and your photography is MIND-BLOWING!!! Do you use a DSLR? !Do you take these pics by yourself?!!! WOW this is stunning. You have the perfect face to pull off any look you choose! Fathima thank you so much for following me, followed back :D and thank you for your appreciation xoxo. Regarding the camera I use, yes it's DSLR, I use my husband's Nikon D3s, he's also taking the pictures of me. 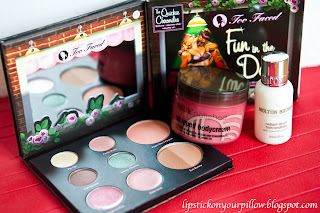 I usually take the pictures with the products I use for each makeup look. Anyway, if you want a camera just to photograph your makeup looks I recommend Nikon D40 or D90 with macro lens. If you have questions, please let me know. Kisses, muuahh! wow, the rainbow make up looks incredible!! @Gift Princess:Thank you so much for adding me in your blogroll, I'm really glad you like my blog, kisses. @Reflect and Fancy:Thank you darling, kisses. This is very beautiful... I never know these colour combination is this pretty!! !